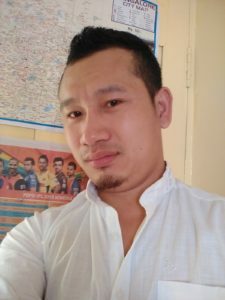 Samuel NG is a young and promising activist from Manipur. He completed MSW in Medical & Psychiatric with UGC-NET. Professionally, he is engaged with the Vaccine Department as a Chain Manager in Senapati district part of eVIN team of UNDP India. He strongly believe in the LEGH concept and enthusiastically taken the charge of Joint Secretary of FSLE-India in Manipur. He wishes to take some revolutionary initiatives to protect the environment in his region.